Look for Tips in the text! 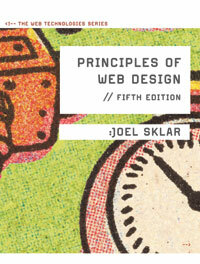 Welcome to the online companion for Principles of Web Design, 5th edition. This Web site contains activity files, links, and code samples to accompany your textbook. The 5th edition reflects the latest in Web design trends with expanded sections, plenty of new content, and a reorganized topic flow. The examples and activities emphasize building standards-based Web designs using the latest Web technologies including HTML5 and CSS3.